Chris has a particular interest in Chancery and Commercial Litigation, Family (primarily Financial Remedies and Private Client), employment, Property, Housing and Landlord and Tenant work, and Company and Insolvency law. More details can be found below. Chris is Head of Chambers’ Family Group. He has experience in acting for clients at all levels of court, from the County Court to the Supreme Court, and is regularly instructed in complex cases with high asset values or where there are company structures, using his detailed knowledge of other areas of law to benefit his clients. However he is equally at home advising on cases with limited assets, and is prepared to consider fixed fees at competitive rates for such work. Chris has also been involved both in the drafting of Pre- and Post-Nuptial Agreements and litigation arising out of disputes over such Agreements. Chris acts regularly in TLATA disputes and has a reputation for an unrivalled knowledge of the law. He has lectured widely on the various developments in the law of co-ownership in recent years and his Masters degree also included the study of advanced trusts and equity. He has a particular interest in secret and half-secret trusts. Chris has acted in numerous contentious probate cases and disputes over wills, including allegations of lack of capacity, undue influence and want of knowledge and approval. He has been instructed on a number of occasions in High Court actions arising out of contested wills. He has also been instructed on numerous occasions in respect of mediations arising out of disputes over wills. He also has a particular interest in secret and half-secret trusts. Chris regularly acts in private law children cases, including applications for leave to remove from the jurisdiction and child abduction cases. As Head of the Chambers Family Group, he is acutely aware of the effect that the cuts in public funding have had on access to expertise and is prepared to consider appropriate fixed fees in cases where funding is an issue. Chris is also the Secretary to the Chambers Civil Group. He has wide-ranging expertise in contractual and commercial disputes, issues relating to real property, trespass, nuisance, disputes under the Occupiers’ Liability Acts, civil and commercial leases and disputes involving the Land Registry. He is regularly instructed to advise and act on complex commercial cases. Chris deals with disputes arising out of residential and commercial tenancies and has lectured widely on such matters. He has experience of the public, private and commercial sectors and has regularly been instructed in multi-day trials. He also has significant experience of leasehold enfranchisement and service charge disputes. Chris has significant experience of Employment work and has appeared regularly in the Employment Appeals Tribunal, as well as in the Court of Appeal. Chris has been involved in a number of appeals which have amended or clarified the law, and many of his reported cases are cited in leading practitioner works. Chris also writes extensively on employment law. He has dealt with cases of unfair and constructive unfair dismissal, wage and holiday pay claims; all forms of discrimination, and, memorably, for 20 truck drivers, who he established were employees rather than self-employed. He acts for both employer and employee. He is also the author (with Michael Salter), of the book Social Media in the Workplace: A Handbook (Jordan Publishing, 2015). Chris has experience and accepts instructions in other areas of work, notably tortious disputes including negligence and nuisance, Personal Injury and Professional Negligence. He also has an academic and professional interest in cases arising out of the Protection from Harassment Act 1997. Chris also has an extensive paper practice covering pleadings and advice on all areas of the law and is able if necessary to provide oral or written advice at short notice. 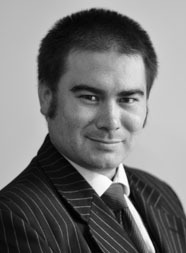 Chris has also gained significant experience of mediation and alternative dispute resolution and is regularly instructed at an early stage in proceedings for his ability to assist in negotiated settlements or at round table or mediation meetings. Chris has gained a reputation for diligence, hard work and an ability quickly to identify the important aspects of a case. He is approachable and available for advice both formally and informally and is known fearlessly to promote the interests of his clients. Chris undertakes instructions directly from members of the public under the Bar Direct Public Access scheme, which allows him, in appropriate cases, to work without a solicitor. However in appropriate cases Chris will recommend that members of the public that approach him directly nevertheless consider appointing a solicitor, in the usual fashion. Chris can be contacted via the clerks for Public Access enquiries in any of his areas of practise or for more details reference should be made to his personal website: www.chrisbryden.co.uk. Chris enjoys preparing and presenting seminars on various areas of the law, both in Chambers as part of its ongoing seminar program and in house directly to solicitors. His seminars are CPD accredited and he is happy to prepare seminars specifically on request by solicitors in areas of law that may be of interest to them. Chris also presents a continuing series of webinars through CLT Training. Chris’ first book, Social Media in the Workplace: A Handbook, was published in 2015 by Jordan Publishing. It is aimed at solicitors, barristers, HR departments and others who wish to gain an insight into the risks posed by Social Media in the context of employment, tort and defamation law. More details can be found on the Jordan Publishing website. Chris is acknowledged as an expert in the field of harassment and cyberstalking and on 12 October 2011 at the invitation of Elfin Llwyd MP gave evidence to a Parliamentary Select Committee Inquiry into potential amendments to the Protection from Harassment Act 1997. The report of the Committee led directly to the amendment to the 1997 Act to include a specific offence of stalking. Chris is the co-author of the leading paper in this area of law, entitled I CAN See You: Harassment and Stalking on the Internet and published in the Journal of Information and Communications Technology. Since publication, Chris has also presented a paper at the IADIS Conference held in Rome in July 2011 building on his conclusions, and which is due to be published in the October 2012 International Journal of Distributed Systems and Technologies. Chris works closely with the National Centre for Cyberstalking Research, based at the University of Bedfordshire, as well as the Cyber Stalking Unit established by Collyer Bristow. He is also affiliated with the National Stalking Training Academy which provides training and awareness of the risks posed by Cyberstalking. In November 2011 Chris was appointed visiting Fellow of the University of Bedfordshire, as part of his ongoing work with the National Centre for Cyberstalking Research. Chris is also the co-author of the paper “Cyberstalking in the UK: Analysis and Recommendations”, IJDST 3(4), 34-51 Oct-Dec 2012. Chris is co-author of the Costs in the Employment Tribunal chapter in “Costs Law: A Practitioner’s Guide”, published by ARK Group, 2016. In addition to his work relating to harassment and cyberstalking, Chris is a prolific author of legal articles and papers, which regularly appear in various legal journals. He has recently been appointed to the panel of expert authors of the New Law Journal and is commissioned to produce at least six articles for them per year. A list of his articles can be found here. Scicluna v Zippy Stitch Ltd & Ors  EWCA Civ 1320 (08 June 2018): finding by the Court of Appeal that it is not open to a party to advance a point not contained on a list of issues. JP v NP  Fam Law 1106,  EWHC 1101 (Fam),  WLR 4607,  WLR(D) 172 (Eleanor King J) Appeal by Wife against order setting aside Financial Remedies final order for want of jurisdiction, having been made prior to Decree Nisi. The court determined that, notwithstanding well-understood common practice, a court could make such an Order, postponed until after Decree Nisi is granted. Ball v Shepstone  EWCC 7 (Fam) Suspended order for committal of father for contempt following his failure to comply with an order to file a Form E in proceedings brought by the mother for support of their children. Foster v Bon Groundwork  EWCA Civ 252;  ICR 1122;  IRLR 517;  All ER (D) 107 (Mar);  UKEAT/0382/10/SM;  IRLR 645 (EAT) (Authority for the propositions that: (1) Issue estoppel cannot succeed if the issue said to be estopped was decided upon when it should not have been either (i) because of a lack of jurisdiction or (ii) because it was not a necessary ingredient in the original claim; and (2) abuse of process will rarely be found on the basis that matters in a second claim should have been brought in the first, unless it can be said that the later proceedings involve an “unjust harassment” of the Respondent. Horsham Properties Group Ltd v Clark and another (Secretary of State for Justice intervening)  EWHC 2327 (Ch); WLR (D) 307(At advice stage) The exercise of a statutory power of sale under s 101 of the Law of Property Act 1925 after a relevant default by the mortgagor was not a deprivation of possessions within the meaning of art 1of the First Protocol to the Convention for the Protection of Human Rights and Fundamental Freedoms. Therefore the power of a mortgagor to sell a property following arrears without first obtaining a possession order is not incompatible with the ECHR and remains a viable power.